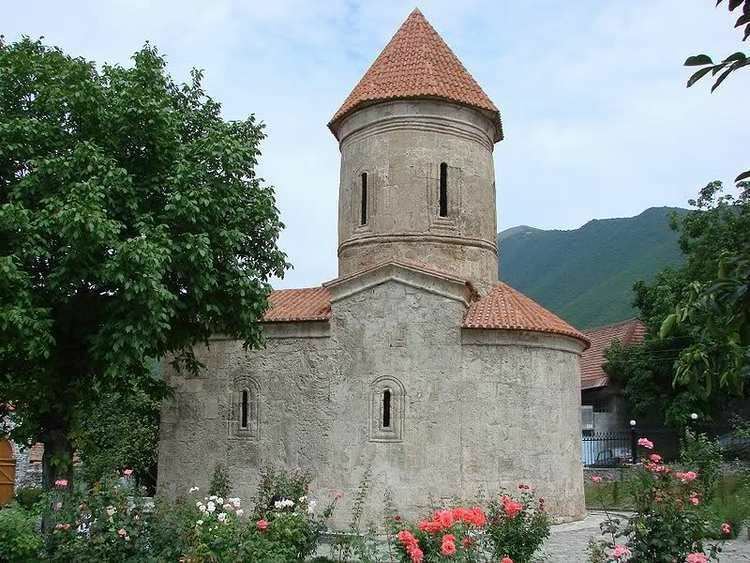 Sheki (Azerbaijani: until 1968 Nukha, also, known as Sheki) is a city in northwestern Azerbaijan, in the rayon of the same name. Shaki is situated in northern Azerbaijan on the southern part of the Greater Caucasus mountain range, 325 km (202 mi) from Baku. The population is 63,000. There are traces of large-scale settlements in Shaki dating back to more than 2700 years ago. The Sakas were an Iranian people that wandered from the north side of the Black Sea through Derbend passage and to the South Caucasus and from there to Asia Minor in the 7th century B.C. They occupied a good deal of the fertile lands in South Caucasus in an area called Sakasena. The city of Shaki was one of the areas occupied by the Sakas. The original settlement dates back to the late Bronze Age. 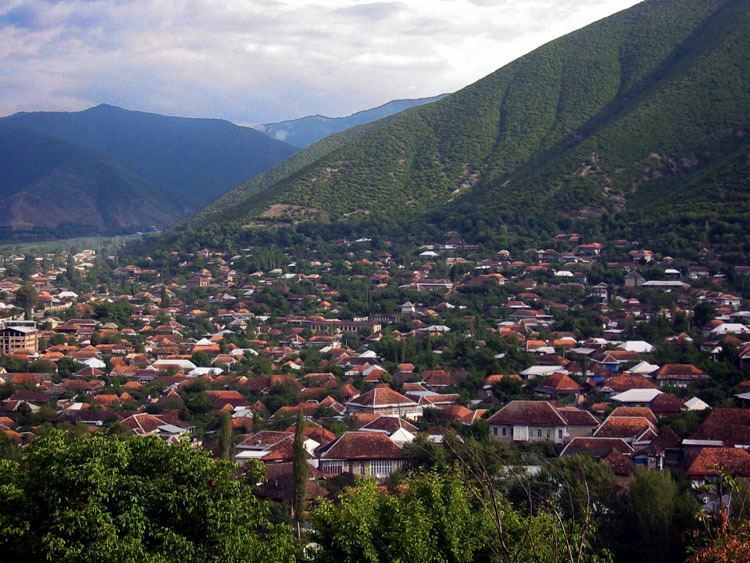 Sheki was one of the biggest cities of the Albanian states in the 1st century. The main temple of the ancient Albanians was located there. The kingdom of Shaki was divided into 11 administrative provinces. 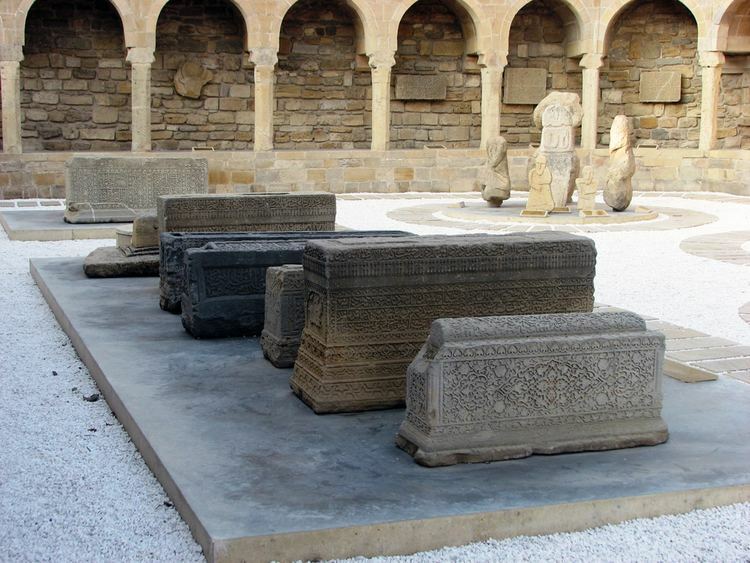 Shaki was one of the important political and economic cities before the Arab invasion. But as a result of the invasion, Shaki was annexed to the third emirate. An independent Georgia principality, Hereti, was established in times when the Arab caliphate was weak. The city was also ruled by the Kingdom of Georgia, the Atabegs of Azerbaijan and the Khwarazmian Empire, before the Mongol invasion. Shaki is surrounded by snowy peaks of the Greater Caucasus, in some places reaching 3000–3600 m. Shakis climate includes a range of cyclones and anticyclones, air masses and local winds. 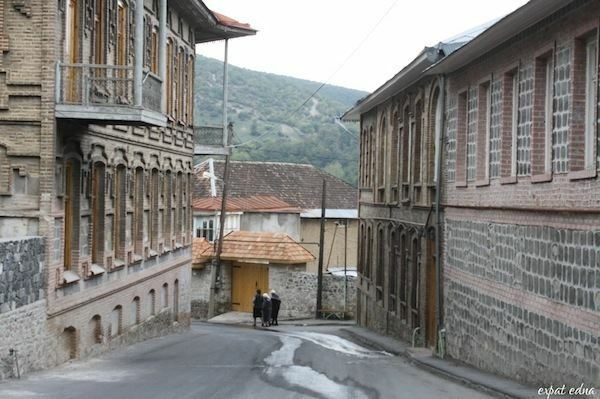 The average annual temperature in Sheki is 12 °C. In June and August, average temperature varies between 20 and 25 °C. 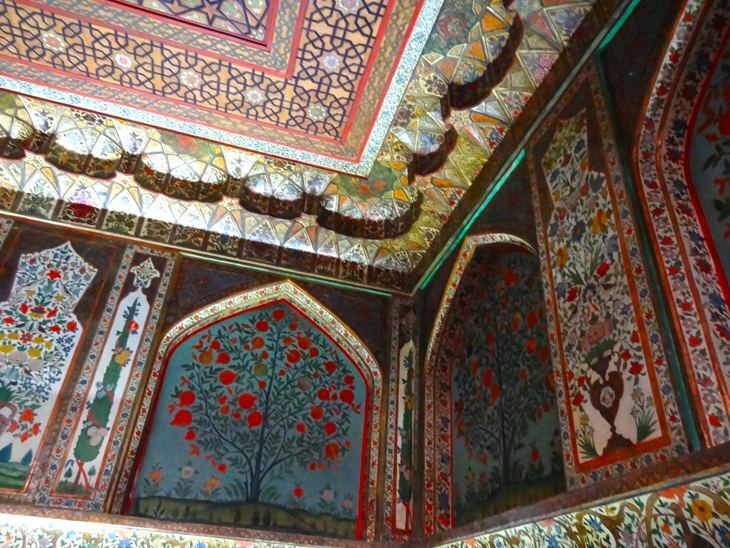 During 1850-70, Shaki became international silk production centre. More than 200 European companies opened offices in the city, while silkworms to the tune of 3 million roubles were sold to them in a year. haki has one of the greatest density of cultural resources and monuments that include 2700 years of Azerbaijani history. The city boasts a lot of houses with red roofs. In pop culture, probably the most famous feature of Shakinians are their nice sense of humour and comic tales. Shakis comic tales hero Haci dayi (Uncle Haji) is the subject of nearly all jokes in the area. Shaki has always played a central role in Azerbaijani art and more generally in the art and architecture of Azerbaijan. Under the name of Nukha, the city is the scene of much of the action in Brechts play The Caucasian Chalk Circle. Perhaps the best-known aspect of Shaki cooking is its rich sweet dishes. Shaki is traditionally held as the home of special type of baklava, called Shaki Halva. Others include nabat boiled sugar and sweet pesheveng. Shaki also has some famous dishes, including girmabadam, zilviya, piti, a stew created with meat and potatoes and prepared in a terracotta pot. As of 18th century, five big Caravanserais (Isfahan, Tabriz, Lezgi, Ermeni and Taze) were active in Sheki but only two of them have survived. The upper and lower Caravanserais were built in 18th century and used by merchants to store their goods in cellars, who traded on the first floor, and lived on the second. Both Caravanserais includes view of all convenience and safety of merchants and their goods.